Jeff Clarke studied at Brighton and was British Institution Fund Scholar and Rome Scholar, 1956-58. He lives in Oxford, where he has had some 15 solo exhibitions, Jeff Clarke's collages, prints and oil paintings, explore recurrent themes. 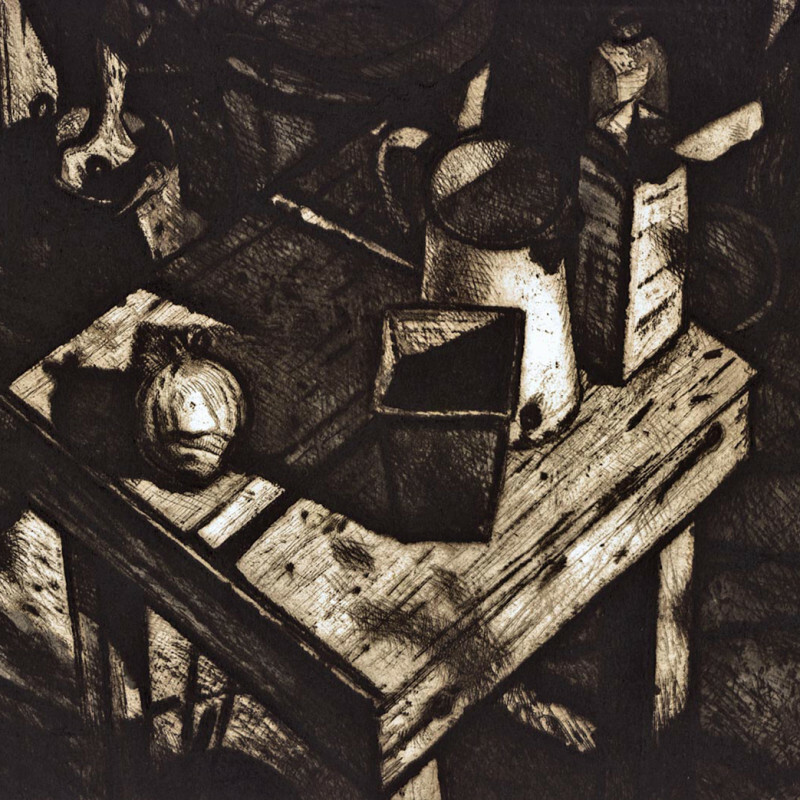 He is drawn to his subjects as planets to the sun - brushes in a jug with fruit and flower pot, washing on a line behind his studio, perhaps a particular scene glimpsed through the garden door. His preoccupation is light and shade and how to articulate the impact of light, in that moment, on form.